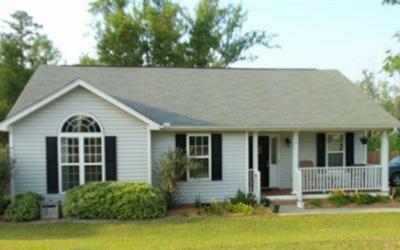 113 Maguire Drive is a wonderful and clean home for sale that is located in Lexington, SC. The home is located in the Colony Lakes Neighborhood. 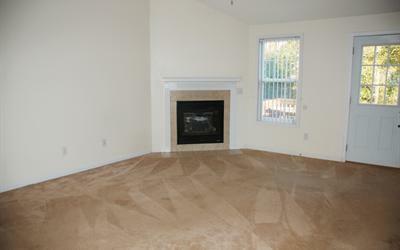 Colony Lakes is a nice established neighborhood that offers affordable homes! This home is a great size and has a wonderful layout! There are vaulted and high ceiling throughout home and make the space feel even larger! Located right off of Old Orangeburg Road in Lexington you will have easy access to shopping, dining, and great entertainment as well as a very quick 5 minute trip to I-20! Stepping in through the front door will land you in the family room with carpet that seems like new, neutral tone paint on the walls and a beautiful gas fireplace with a mantle. The open layout of this great home will put you in the dining area next. Right next to the dining area is the Kitchen where there is lots of space and great cabinetry. This layout also includes an eat-in bar! Appliances include existing stove, dishwasher, and over the range microwave. There is also a garbage disposal in the stainless sink. The Master Suite is of a great size with a ceiling fan! This Master Suite offers a private bathroom that includes a a double vanity and a walk in shower! And finally, there is a walk in closet!!! The second and third bedrooms are comfortable in size and bedroom 3 has a vaulted ceiling with a beautiful paladium window...adding another touch of character to the home! 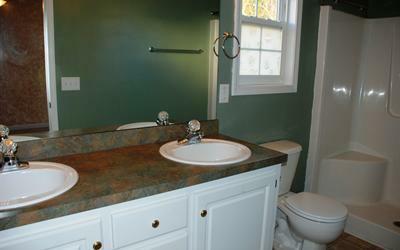 The Hall bathroom is conveniently located next to the second bedroom and also has a nice vanity and shower/tub combo!